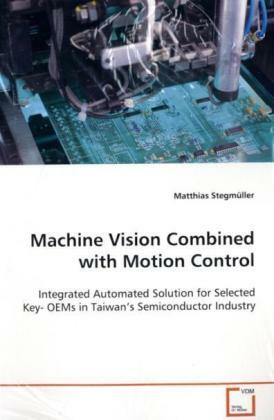 The number of industrial applications requiring §interplay between machine vision and motion control §increases tremendously. §This book describes clearly, step by step and easy §comprehensible how to establish a specific §application for the semiconductor industry: §For that purpose a whole laboratory construction §consisting of a camera system, a PLC unit (Siemens §S7-300), a Panel PC, a drive group including servo §motors and a movable table was erected and §documented in Taiwan. §This application can easily be adjusted and expanded §to other applications. Each software used in this §project including S7, Visionscape, etc. is §documented in a plain manner. §Therefore this act is suitable for engineers, §scientists and all kind of companies which are §interested in this topic and search for solutions.